Is there any better way to eat vegetables than nestled within a warm, fluffy muffin and surrounded by cinnamon and bursts of chocolate? You be the judge. 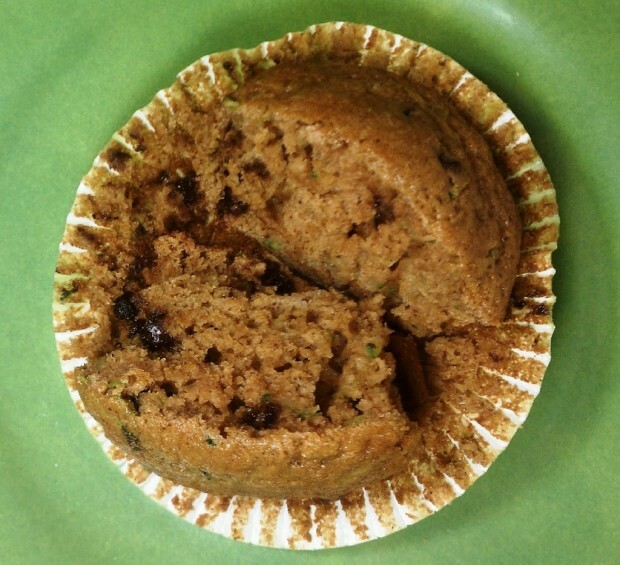 Zucchini bread (or a muffin in this case) does not need to be an oil-laden calorie bomb. Substituting unsweetened applesauce for the oil saves a ton of calories and still produces a decadent, fluffy, delicious result. 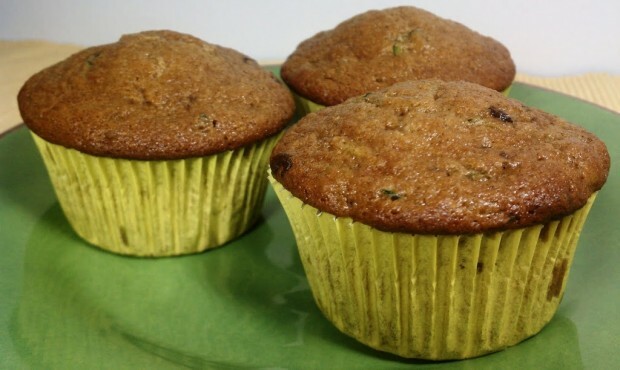 These Zucchini Chocolate Chip Muffins are delicious and perfect for breakfast, dessert or a snack. Zucchini for breakfast? Yes, please. Preheat the oven to 350. 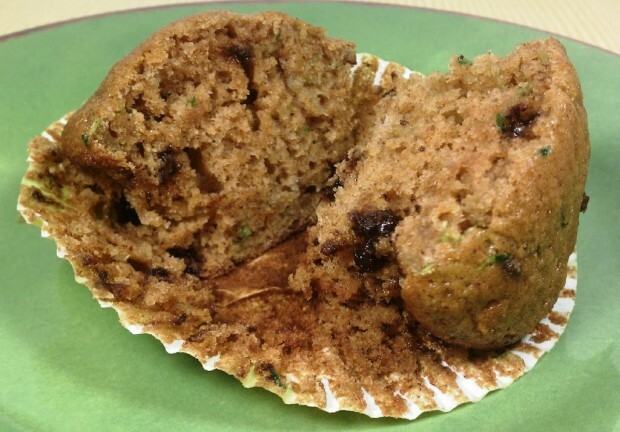 Line 12 muffin cups with cupcake liners or lightly mist the muffin tin with cooking spray. In a large bowl, combine the flour, sugar, baking soda, cinnamon and salt and stir until mixed. In a medium bowl, combine the egg, applesauce, milk, lemon juice and vanilla. Stir until mixed. Pour the bowl of wet ingredients into the bowl of dry ingredients and stir until combined, forming a moist batter. Fold in the zucchini and chocolate chips. Spoon the batter evenly into the liners. Bake for 20-25 minutes. Cool on a wire rack.